What's the Big Deal with PDS? Product Design Sprint is a workshop which aims at defining the weaknesses of a product and finding as many solutions as possible to eliminate such chinks in the armour. During the five-day workshop, we go through stages of researching, prototyping, designing and testing. We analyse current solutions and prepare new ones to improve User Experience. Having conducted a PDS, clients gain a better understanding of the issues encountered by users. They identify possible areas for improvement and gather lots of ideas on how to solve these problems. 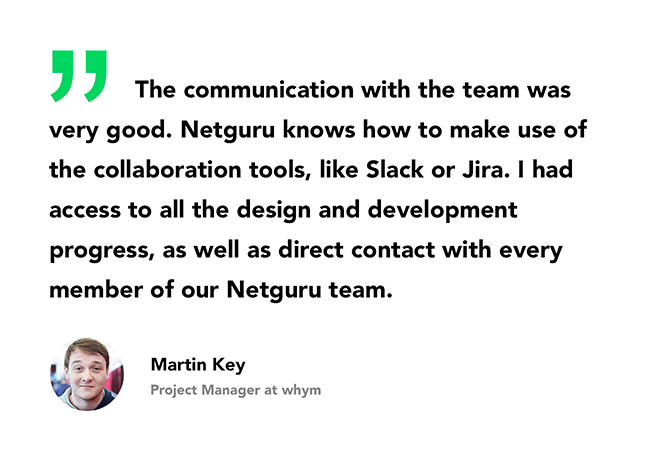 The rapid growth at Netguru challenged us to redefine our processes as well. We decided to run the five-day PDS and adjust workflows to the existing structure. Our goal was to deliver a greater number of quality products and to maintain a high level of trust among our clients. We involved 8 people from various departments — Marketing, Business Development and Design. This approach allowed us to look at our processes from different perspectives and prepare best-suited solutions. Perception of our brand among our clients and key prospects improved. We were given NPS of plus 8. Visitors admit that it's easier to find the information on our website now. We increased the number of generated Qualified Sales Leads. Events at Netguru’s HQ attracted more than 500 people. Recruitment pipeline enhanced, especially in our new key departments. The Product Design team grew from 6 to 17 designers (nearly tripled!) within one year. We released 3 products: Callio, Ember Socket Guru and GitItBack - two of which were featured on Product Hunt. Our IKEA online assistant concept was featured on Behance and widely recognised by the international press and design communities. The greatest achievement, though, is the level of trust that our clients credit us with nowadays. We have more flexibility in proposing solutions and executing them — that’s why we care about every product that we co-create as if it was our own. Also, customers appreciate the attitude by inquiring us for cooperation and, after the project is complete, they stay in a constant contact with us. How did we get to the above mentioned results? It started with a number of exercises which allowed us to identify our strengths and weaknesses. In one of the first ones, we created three main personas, which corresponded to our clients’ profiles. We sketched a customer journey map to characterise interactions and emotions at different touchpoints with the brand. As a result, we gained a better understanding of their goals, feelings that accompany them whilst making hard decisions, and the expectations they have in terms of the quality of Netguru service. In this exercise, we interviewed other employees who have a direct contact with clients. We asked them about the biggest pains of our clients and issues they report the most often. It enabled us to identify problems and expectations of the personas. In the second step of this exercise, we brainstormed potential solutions to these problems. We leveraged the Design Studio methodology to create a shared vision of how we want our clients to perceive us and our services. In a collaborative process, we built a shared vision for our products value proposition. When we defined the areas that needed to be improved, the time has come to prepare solutions that would increase the quality of our services. To address all the issues, we undertook some actions. higher quality and readability of our key legal documents such as Executive Summaries or legal documents such as Master Service Agreement and Order Forms. 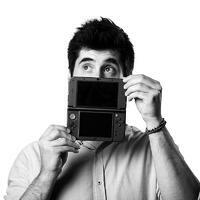 division of the blog into Code Stories (focused on developer stuff) and the main (business-oriented one). regular webinars for developers (one each month). a new process for building and promoting internal products. The side effect of Product Design Sprint and following changes is a growth of 160% within a year. On top of that, in 2017 prestigious FT 1000 ranking, Netguru has been ranked as the 188th fastest growing company, beating such key industry players as Spotify and Skyscanner. We can help you to achieve great results as well. Sign up for a Product Discovery Sprint now!